For nearly 62 years, Dolores Kirkwood has been fostering a love of dance among the children of British Columbia. A teacher, choreographer and adjudicator, she has influenced thousands of people as one of Western Canada’s foremost experts on ballet and musical theatre. She has given of herself, her talents and her humanity to countless thousands of students. She has travelled all over the province to assist with musical productions at high schools, as well as community theatre groups. Her work at Burnaby South High School inspired many other schools to get involved in school musicals. She choreographed musicals at Terry Fox Senior Secondary for 25 years and for 21 years, she has been artistic director of the Royal City Youth Ballet Company. Some of Ms. Kirkwood’s former students have gone on to study at New York’s famous Julliard School, and some have danced for the National Ballet of Canada, Royal Winnipeg Ballet, New Zealand Ballet, Stuttgart Ballet and many others. With her former students dancing professionally in many parts of the world, Ms. Kirkwood’s influence is perhaps best measured by the high esteem in which she is held by those who have worked with her. 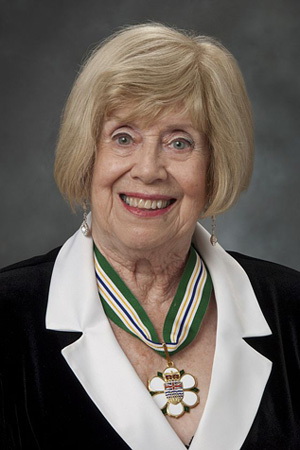 Ms. Kirkwood has been honoured as New Westminster’s Citizen of the Year, won the Sam Payne Award for nourishing young talent, and in 1996 was admitted to BC’s Entertainment Hall of Fame.